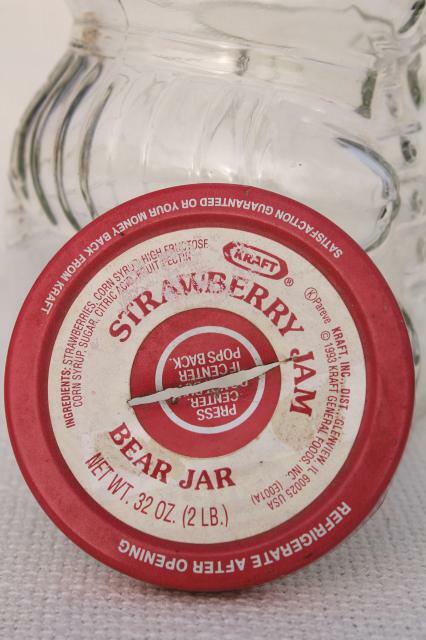 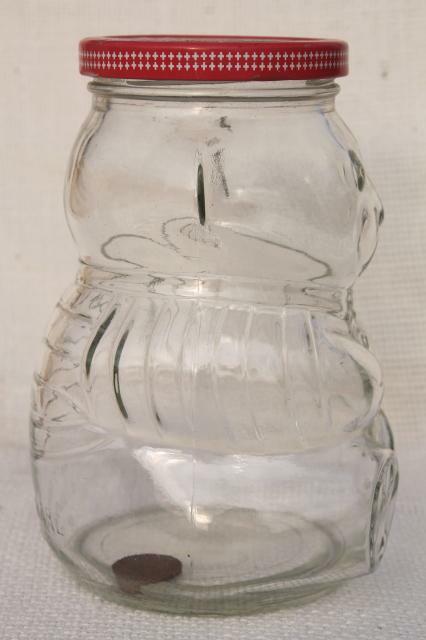 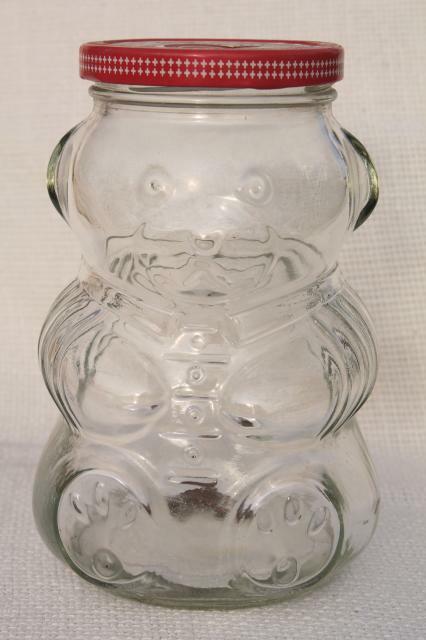 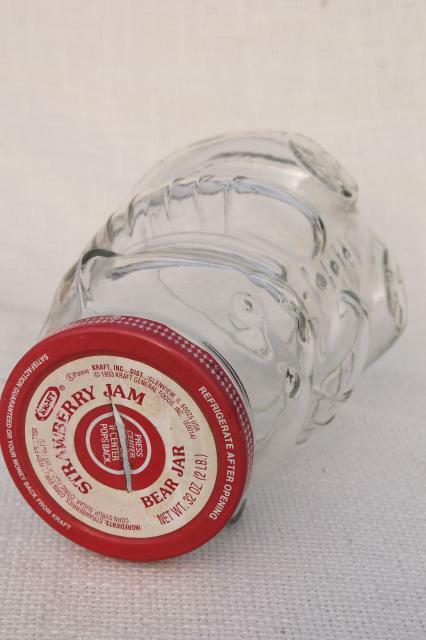 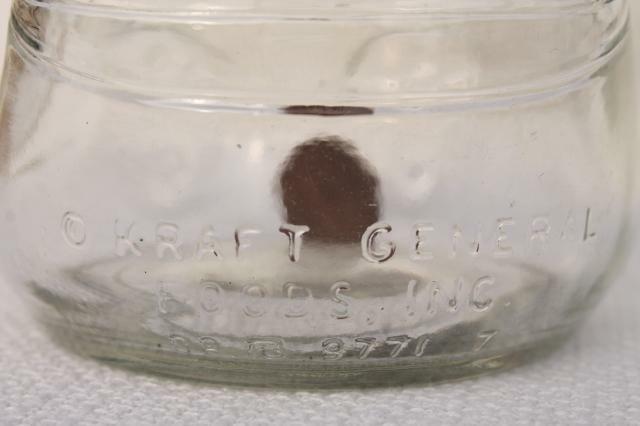 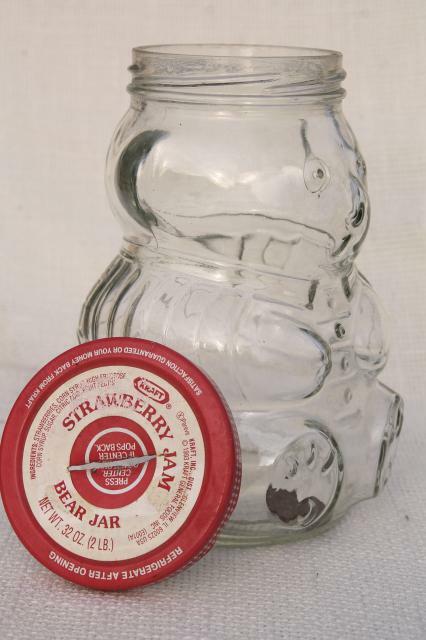 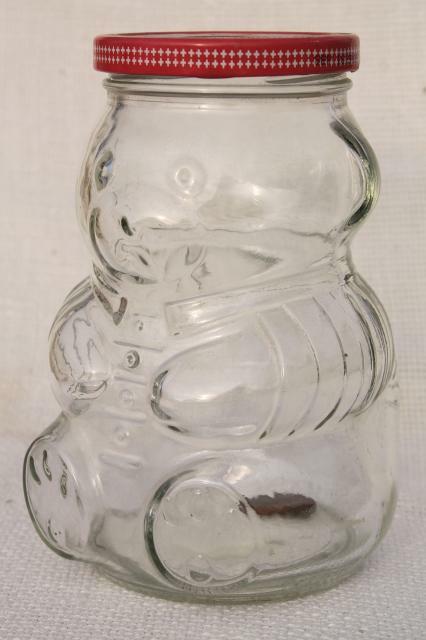 80s or early 90s vintage glass teddy bear jar from Kraft preserves. 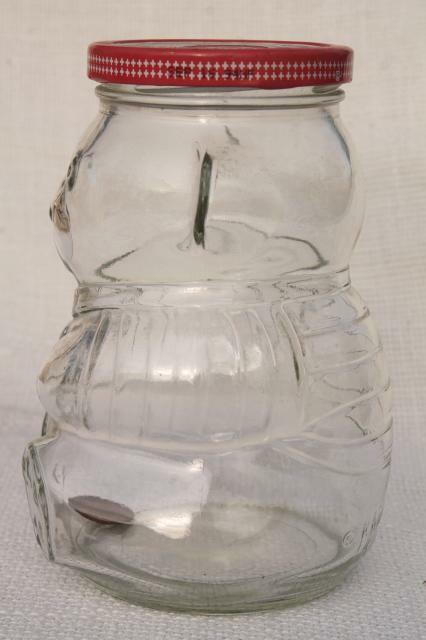 It's about 5 3/4" tall, with a rough slot cut into the metal lid to use as a savings bank. 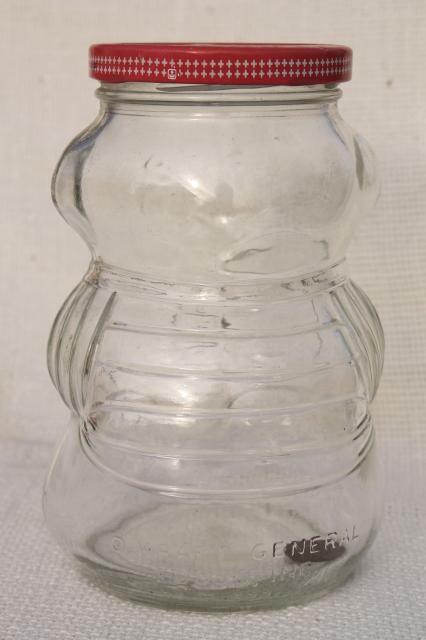 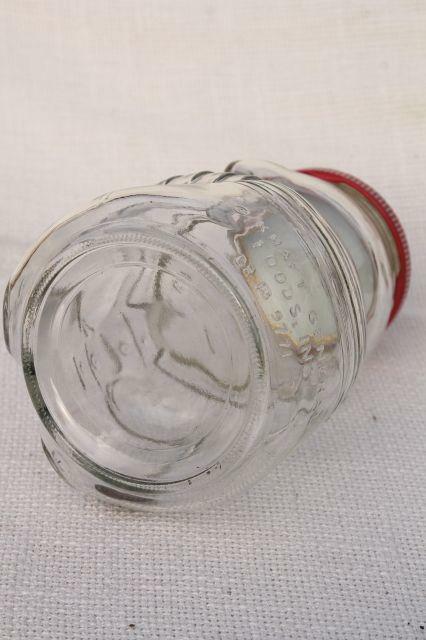 Glass jar looks excellent, the metal lid has wear.